Happy New Year! It’s time to wrap up the highlights from 2017 – here they are! The first picture above is from the day I met my sister’s twin boys. They had received the call a few days earlier about two little guys who needed foster care, and my sister and her husband eagerly accepted. Those boys have brought so much joy to our family! We are very excited to see what 2018 holds for them! Vacations – In March Paul and I got away for a few days of rest in the beautiful hills of East Tennessee, and the end of the summer was our first HamFamVacation with my side of the family. They were both perfectly timed and so much fun! Weight Loss – After several years of really bad habits, I’m thrilled to have lost 16 pounds this year! 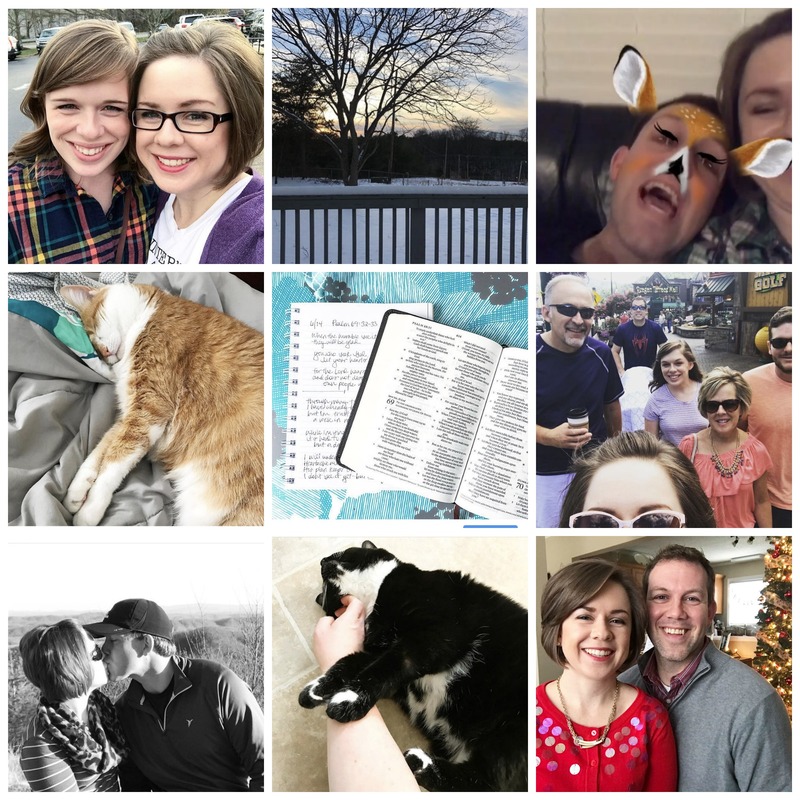 Fun moments along the way – I’m so thankful for sweet blessings like cozy snow days at home, chances to snuggle with the cats and even funny snapchat moments that brought us tears of laughter! December’s blessings – I shared earlier this month about some of the fun things we enjoyed in December. The whole month felt like a gift from above. It was wonderful! Reading through the Bible was one of my 2017 goals, and it was by far the best part of my year. Reading the Old and New Testaments in chronological order was life-changing, exciting and so precious. I can’t say that one story, passage or book stood out more than the others, but my journey through the Scriptures brought me the “strength for today and bright hope for tomorrow” that is spoken about in the old hymn, Great Is Thy Faithfulness. This year was really rough. I don’t say that to gain your pity – I say it because none of us are strangers to trials. None of us are promised lives that are free of heartache or pain. However, I am thankful for this year. I’m thankful for how many times it completely stripped me of my ability to handle life and placed me in complete dependence on the unfailing grace of a loving God. I’m thankful for how it changed me, how it humbled me and how it made me see myself – and others – in a new light. God’s faithfulness to His promises in 2017 gives me hope for 2018! Happy New Year! I’ve learned that we need those times of uncertainly in order to learn how much we need God’s help and grace! What a wonderful year! I love vacationing in Tennessee. It’s always my favorite. I think I prefer it over the beach. Congratulations on the weight loss! I hope to make more healthier choices this year too. What a sweet year! I think your best 9 caught some really fun moments. Love that you focus on the highlights and remember the blessings despite the hard times you’ve gone through. I really enjoyed seeing all the fun stuff you did with your family this year, looked forward to watching your youtube videos and always enjoy what you do. Here’s to hoping 2018 is full of blessings! 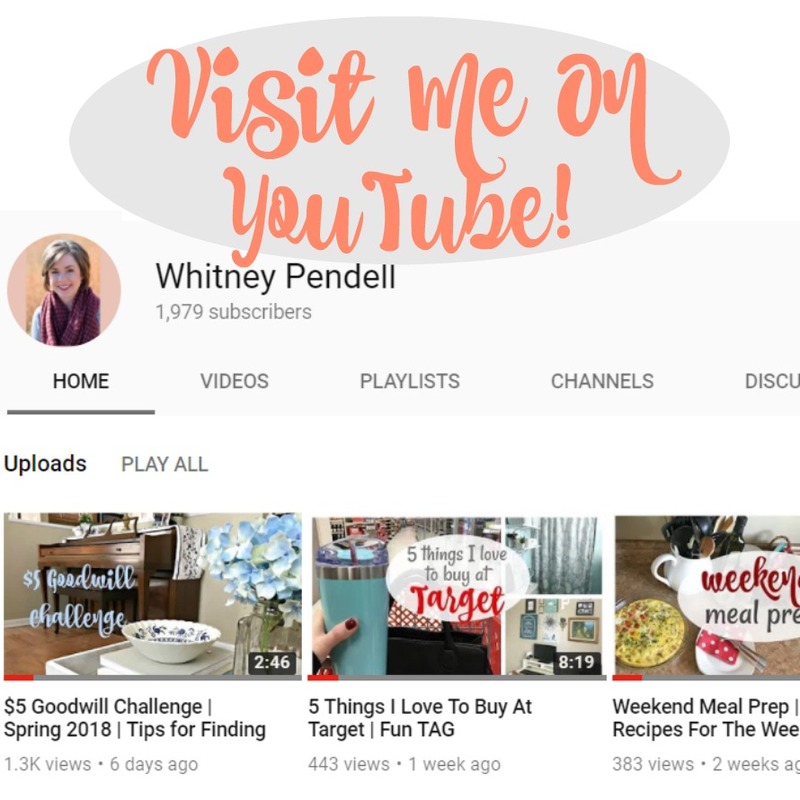 I think blogging has really helped me to find the sweet moments, from the weekly highlight posts to these yearly recaps! I’m very excited to see God’s hand in 2017! 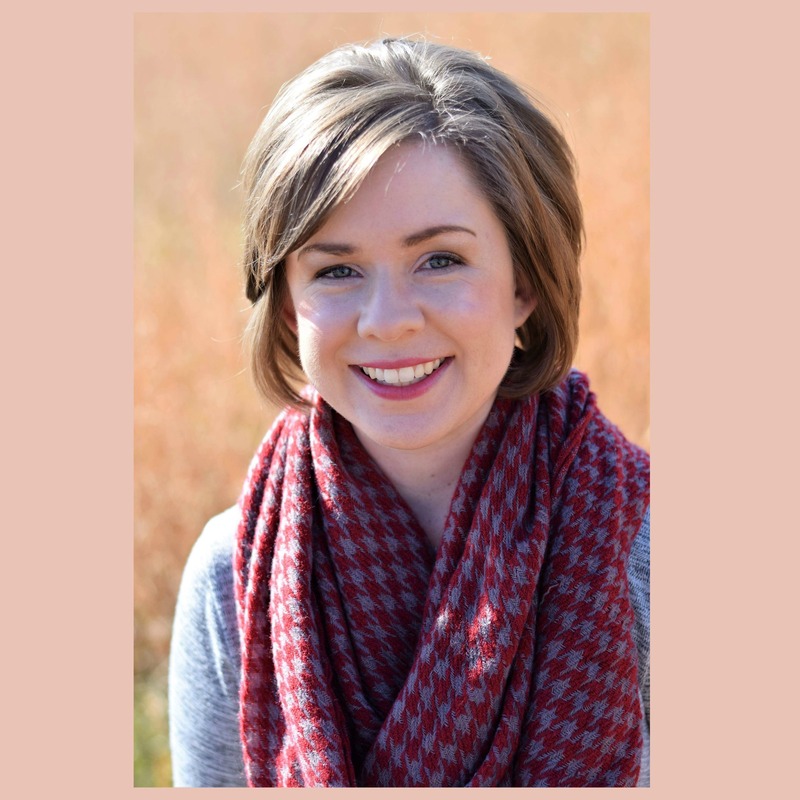 Whitney, have you read the book Finding God’s Path Through Your Trials, by Elizabeth George? That book has been such a blessing to me! We have experienced multiple trials in years past — things I could never have imagined happening. And yet God gave unimaginable grace through those years and helped us continually trust in Him. That said, I know that you have already learned much through your trials — that was evident in your “Gingerbread Girls and Grace” devotional. As Arlene noted above, you are moving on to 2018 with such an increased trust in God and so much spiritual maturity gained. What a blessing — that God wants to work in our lives and make us increasingly usable for His glory! It’s been fun reading about your year again and also taking part in your Instagram Christmas moments challenge. It helped me focus on the great moments we were having even though Christmas at our house looked quite different than it usually does. So thanks for encouraging your readers to join in on that. Looking forward to all that you will share in 2018! I haven’t read that book but I am familiar with Elizabeth George. Thank you for the recommendation! It is amazing how God’s grace is so much greater than our trials. I’m so glad you joined the Christmas Instagram challenge! I love those challenges and I’m glad you did too! Happy New Year, Whitney! I wish you and your family the best for 2018. Thank you Sheena! Happy New Year! Whitney I know you will move on to 2018 with added maturity and more trust in God as a result of the rough year you just experienced. 1983 and 1984 were both years of trials for us as young married couple with three little ones. The lessons I learned during that time have stayed with me to this day. Prayers for a blessed 2018. Thank you for your encouragement! I pray that I’ll never lose the things I learned last year. Happy New Year! May you see God’s hand even more in your life this year. Blessings to you and your family! Thank you, Tammy! God is at work all around us!